He spent 56 years in public service and is his state's longest-serving U.S. Senator. His years in Washington, D.C., brought him in contact with eight sitting presidents and many world leaders. He was never defeated for re-election, and his last campaign in 1974 has been called "The Race of the Century." And, for four decades this "dirt farmer" was one of the top "go-to" lawmakers for United States agriculture issues. He was North Dakota's "Mr. Wheat" -- U.S. Senator Milton R. Young. 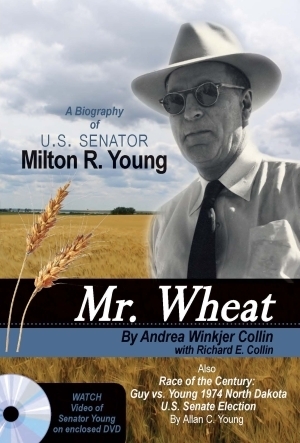 This first ever-biography of one of the dominant politicians in North Dakota tells of getting through the Great Depression as a young farmer, bucking the Nonpartisan League faction of the North Dakota Republican Party, serving in the North Dakota Legislature and his years in the U.S. Senate, from the end of World War II to the dawn of the Reagan Revolution.